This is only the second I've ever seen for sale, they were made for azteks, where the engine sits down in much farther than many other cars. 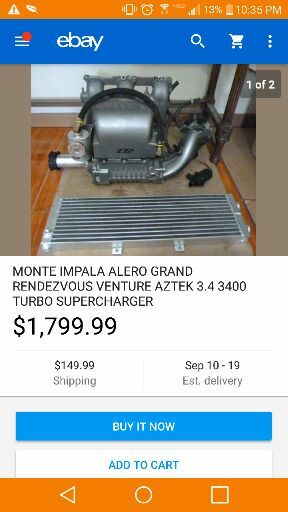 The ad is very misleading saying "turbo" and "intercooled", when its a supercharger and a heat exchanger. Nonetheless very cool. Thats a McGavin style hood mod there - at least this blower is intercooled with the heat exchanger. The GAGT setups never where intercooled. Cool setup - too bad its an M62 and not an M90.